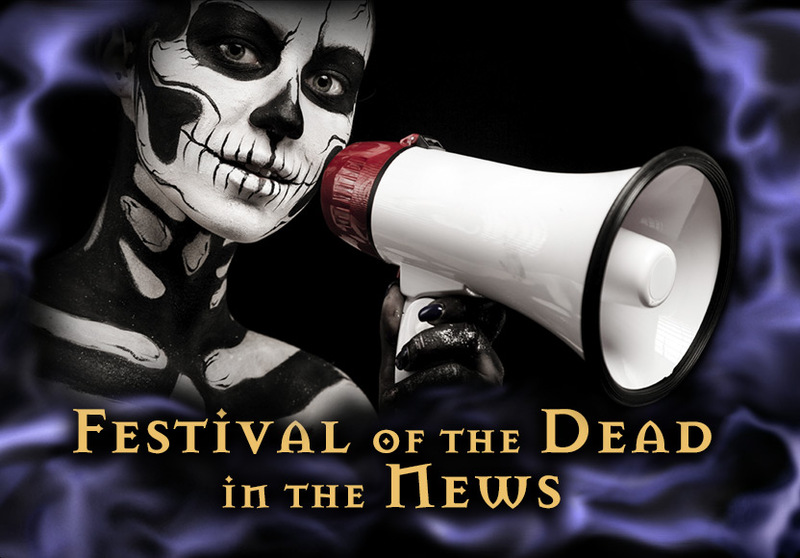 Festival of the Dead - Witch reality next on TV? High priest of the Salem Witches, Shawn Poirier, and his buddies may soon be living it up on live TV in an Osbourne family-style reality show being pitched to networks about Festival of the Dead creators and local witches Christian Day and Poirier and Salem witch elder Sandra Mariah Power. Day says the Hollywood types who want to bottle their magic are a TV film director and a soap-opera star who have started a television production company. He doesn't want to say who they are, since he signed something that looked fairly important, but he did manage to check them both out on an Internet movie database and they look to be for real. Primarily, the show is going to be about Poirier, says Day, because the high priest lives as a witch full time. It will show Power as the witch/concert promoter that she is and Day as the "business and tourism liaison" between the city of Salem and the witches. But that's all he's saying about the proposed TV show for now. "It's sort of like the movie legend," he says, " 'You spook the beast, you spoil the trap.' "
But the group is excited about the idea, saying it's no dark secret. "We're going to have a weekly show. That's going to piss everyone off," says Day with a wide grin.